Both the Korea 50K in Dongducheon and the Mount Apo Sky Race in Santa Cruz, Davao in Philippines were characterised by very hot weather giving even more difficulty to the runners on already challenging race courses. 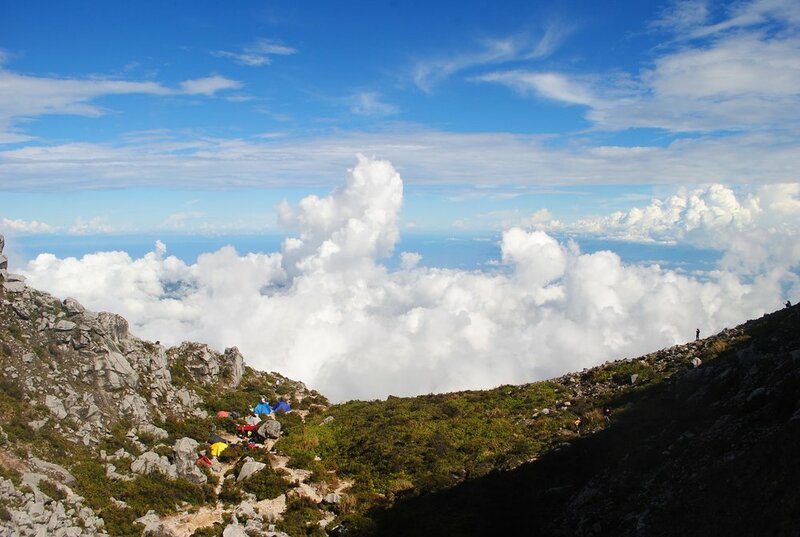 The Mount Apo Sky Race proved quite dramatic in particular, with only 20 finishers - 1 female - and the rest already cut-off after either 25k or 43k. If the race hadn’t been stopped by the race director at km 75 for security reasons, few would have made it to the finish. Last year’s winner of the then-70K Mt Apo Sky Race, Pablo Diago Gonzales, was therefore right in his pre-race warnings: this was going to be a shocker. The new route added three more peaks to the course and those proved to be extremely technical with virtually no running possible for the first 25K following the flag off at midnight. It took David Gianelli and a local road runner 5 hours and 20 minutes to complete those 25K. Gianelli, the Italian winner of the Indonesia SuperTrail last year, was the fastest man in the race also last weekend. As soon as they hit Mount Apo he was by himself in the lead and by km 75 he held an advantage of over 1 hour over the very strong Jag Lanante. The Thailand-based Filippino overtook Pablo Diago Gonzales just a few kilometres before the improvised finish line. Gianelli completed the 75K in 14 hours and 44 minutes, and now being temporarily based in Philippines will also travel to Penang in 3 weeks for the Malaysia SuperTrail race, Penang Eco 100, where he will compete on the 100K. Pablo Diago is a busy bee this spring as well, as he is lined up for Tengri Ultra Trail in Kazakhstan and the same Penang Eco 100K. Local Mindanao runner Rexell Aguirre was 4th in Mount Apo, preceeding Joseph Gentoleo. Rizal Mountain Run winner Aggy Smith Sabanal was the only female finisher and scored her second ATM race victory of the season. Definitely in her element on the most technical of trails, Sabanal overtakes Majo Liao in the Asia Trail Master Championship with this new success by 65 points. Still very young for an ultra trail runner, it will be interesting to see her compete on the tough mountains of Mantra Summits Challenge in Malang, East Java, Indonesia this July. All other women, including Hong Kong’s Tanya Bennet, last year’s winner Manilyn Mamugay and Cheryl Bihag were all cut-off at km 43. Over in South Korea, there was local success as Kim Jisub took the victory ahead of Austria's Michael Kabicher and Japan's Hiragi Taichi. Jisub finished in 6:33, 14 minutes ahead of the European. The difference between numbers 1 and 2 in the women's was similar with France's Laetitia Pibis staying ahead of Yasuko Natsume of Japan, and her compatriot Sae Enaka completing the podium. Hot stuff in Korea and Davao this weekend! This weekend the 2018 Asia Trail Master Championship series continues with another doubleheader. Korea 50K in Northern Asia and the Mount Apo Sky Race in Southeast Asia. Both events meanwhile have established a tradition and will see the participation of a strong set of runners. Mount Apo is the highest mountain of the Philippines at an altitude of nearly 3000m, located near Davao on Mindanao Island. Race director Doi Calbes has further upgraded his A-race from last year’s 70K to a full 100K this weekend. This is a technical and challenging trail that appeals to experienced trail runners. It should be noted that last year’s winner and 2nd placer Pablo Diago Gonzales and Rexell Aguirre are both coming back. They will face the challenge of some other good runners such as David Gianelli, the Italian who impressively won the Indonesia SuperTrail last season. For Pablo Diago Gonzales, a top 2 result would place him in 2nd place of the ATM ranking behind leader Harry Jones. Also on the start list but a question mark is the other Singapore-based Italian Alessandro Sherpa. Still struggling with a foot injury, it is not sure he will be tackling Mount Apo. Thailand-based pinoy runners Joeffrey Camara and Jorge Lanante should be considered for a podium finish, as well as a number of local runners who can always create a surprise. Manilyn Mamugay was the women's race winner last year and she also will defend her title. Shindy Patricia from Indonesia was scheduled to be a main competitor, but a passport visa application took a longer time than envisaged and Shindy is unfortunately unable to travel this weekend. Hong Kong's Tanya Bennet and Grandmaster Cheryl Bihag are podium candidates. In Dongducheon, near Seoul, in South Korea the country’s biggest trail race is entering its 4th edition on Saturday. Forest hills characterise this tough 58K that will see Takashi Doi from Japan face local top runners such as Sim Jaeduk. We will be reporting live from both events on Saturday, as usual subject to connectivity. Korea 50K is open for registration! The prime trail race in South Korea is again open for registration. In 2018, Korea 50K takes place on the usual weekend in April with the race day on Sunday, 22 April. The venue and race course has remained largely the same, although the official distance is currently reduced by 1k to 58K. This is a hilly race in the forests around DDC, a suburb of capital capity Seoul, to which it is connected by subway. The registration is open and it is suggested not to wait too long, as in its third year of Asia Trail Master, it has become one of the more popular races on the tour given its convenient location. The biggest trail race in South Korea was a textbook example of the growth of the sport in that country, yet international runners took the top step on the podium in the main race of 59 km. South African star Ryan Sandes pulled out at the last moment with a hip injury that he sustained in training, and so the trail was open for Japan's top runner Ruy Ueda to deliver an outstanding performance. Ueda completed the hilly and tough course in a blistering 5:41:12. He was in a league of his own finishing nearly 40 minutes ahead of number two. In fact, two more Japanese runners completed the podium with Takeshi Doi overtaking Tomonori Onitsuka in the final stages to claim second place. Shimjae Dok, second last year, had to settle for fourth place. He was 41 minutes off the podium, which indicates just how quick the Japanese ran. Second Korean was Jisoo Kim. Al Telias from Philippines was one of the pre-race favourites, but he did not start. The overall level of the women's race also went up a notch as last year's winner Yukari Hoshino had to see Marie McNaughton from New Zealand run away from her after an intense dual between the two. For a long time they were separated by not more than ten minutes, until McNaughton pulled away in the late stages to win by approx 25 minutes still. Sunghee Lee was the best of the local runners in third place - just like 12 months ago. Lee is last year's winner of UT Jeju in October and the female Korean Trail Master, finishing 8th in the 2016 ATM Championship. She had to fight for her podium place last Sunday, as her compatriot Jeong Sun Park was just over five minutes behind. Park, of course, is the winner of last year's ill-fated Ultra Trail Mount Jiri, ran in very wet conditions. Importantly, Cheryl Bihag from Philippines finished the Korea 59k race as well, collecting another 188 points in already her fifth points finish of the ATM season! As such, she totals 1638 points and takes over the lead in the current Asia Trail Master points championship from Tahira Najmunisaa Muhammad Zaid (1500 pts in 3 races). A well-deserved top spot for one of the most popular runners on the Asian circuit. For Cheryl, it will now be about consolidation and increasing her points tally further by doing better than the 188 points of Korea 50k, which by coincidence happens to be her smallest points haul of the season. As per ATM championship regulations, only a runner's best five results are taken into account for the ranking. This year, Cheryl has done Rizal Mountain Run 50, Beach Bunch Trail Challenge 100, Cordillera Mountain Ultra 50, Sungai Menyala Forest Trail 50 and thus Korea 59K. Korea is no longer a rookie country when it comes to trail running and the proof is this weekend's Korea 50k event in Dongducheon in the outskirts of capital city of Seoul. The 3rd edition again breaks participation records with 1117 officially registered runners! Not all of them are of course going for the hilly 59 k, yet even the main race will see just over 500 starters. And it is not only the quantity that strikes observers, also the quality. Many of northern Asia's established trail runners are present, and they will be facing one of the world's most reputed trail runners in the person of Ryan Sandes of South Africa. It goes without saying he is also the race favourite, but there's plenty of dark horses this weekend. Korea 50k is thus actually closer to 60k and offers a hilly course mainly inside forests and has no less than 3500 metres of elevation gain. That's tough, and especially something that could be in favour of explosive runner types rather than ultra endurance types. The terrain could therefore be Sandes' biggest rival. At 35, the South African is not the oldest, but neither the youngest anymore. Japan's Ruy Ueda, for instance, is a fan of Korea 50K's topography and has an aggressive running style. Ueda will be an important challenger for Sandes. So will be Ueda's compatriot Tetsuya Osugi - if he recovers in time from illness that struck him this week -, along with Takeshi Doi and Tomonori Onitsuka. The Land of the Rising Sun certainly is well-represented in Korea this year! On a start list of 500 there are bound to be other fast runners few people know about, but one name is certainly not unknown: Alison Tellias from the Philippines, third in the Cordillera Mountain Ultra last month, is another podium candidate to say the least. Still, there's another Filippino runner who will be very much in the spotlight this weekend: Cheryl Bihag will be taking part in her fifth ATM points race of the season already, and is set to overtake Tahira Najmunisaa in the 2017 Championship points ranking! Currently ranked second with just 50 points less than the Malaysian - who has done three races so far - Bihag will be the first runner to score points in five races, which means that as of the next race she can begin to try and eliminate her worst points result (11th in Cordillera Mountain Ultra, i.e. 300 points). Always smiling and in a good mood, Bihag has traveled across Asia in recent months and her consistent results in races will now give her a truly well-deserved place in the spotlight for some time. In all fairness, winning Korea 50K will be an uphill task for Bihag this weekend. For the race victory, local runners such as Sunghee Lee and Gyesook Lee seem to be a good bet. But also in the women's race, Japanese runners will join the debate for sure. As always, you can follow the action of Korea 50K live via our social media channels. The race is set to commence at 5 a.m. local time. We move on to April in our 2017 Asia Trail Master preview for the next confirmed entry. Korea 50k, arguably the country's flagship event, will have its third edition on - normally - 23 April 2017. The precise date could shift by one week and will be cast in stone in the next few weeks. Korea 50k is actually a 59km long race that takes place in Dongducheon, in the outskirts of capital city Seoul, to which it is well-connected via public transport. The Seoul subway reaches DDC, as the town is commonly called, which has the added advantage that the race can easily be included in a big family weekend city trip! Organised by the experienced RunXRun group, the event offers a solid course with 3100 metres of elevation gain that should not be underestimated. You will run large sections up and down hills in prime forest. All event details will be updated for 2017 in due course. In the mean time, what's stopping you to pencil in a nice city & running trip to Seoul! He was the pre-race favourite, and he delivered in style. Xu Xiutao is becoming a force to be reckoned with in Asia' s trail running scene, as the runner from Beijing scored an impressive victory in yesterdays Korea 50k event. It was the fifth race in this year's Asia Trail Master series and already the second one for Xu Xiutao, after he came home second in UTHK 100 last February. His Korean points haul - 500 - lifts him to second place in the current ATMs championship ranking behind Hong Kong's Isaac Yuen Wan Ho. It was the second edition of Korea 50k, an event marked by a boom in registrations with plenty of international athletes making the trip to the outkirts of Seoul. It was a warm day under a bright blue sky, but the runners had a tough one as the 59km race covered well over 3000 metres of elevation gain, an increase that not everybody felt was necessary, which is similar to comments received in last week's 50 miles race in Linhai, China. Perhaps something for race organisers to reflect upon. Yesterday there were plenty of DNFs as a result. Luckily, the technical organisation by the local RunXRun team was excellent, and runners could enjoy a beer and a tasty local snack after the finish in the sports stadium of Dongducheon. Simjae Duk was a bit disappointed with 2nd place this year. It was chilly at 4:30 a.m. for the start of the race, but the runners were soon warmed up as outside the stadium was already the first steep climb up. The strongest group of runners immediately opened up a gap. Local stars Simjae Duk, last year's winner, and Nohui Seong had to accept the company of China's Xu Xiutao, who kept the pressure on them. Close behind was Hong Kong-based Frenchman Clement Dumont, whose consistent pace would earn him a third spot on the podium as Seong faded in the last ten kilometers. The victory was contested between Simjae Duk and Xu Xiutao, and eventually the youngest had the edge and even pulled away still by 8 minutes in the final section. Xu Xiutao crossed the finish line in 7:11:02 with the Chinese flag around him. Another Hong Kong-based European, Paul Ridley from Great Britain, completed the top five and of all the top guys looked like he could still do another lap. In the women's race, Japan's Yukari Fukuda repeated her victory from last year in 8:19:50. She was over an hour ahead of second and third place runners Janet Ng (Hong Kong) and Sung Hee Lee (Korea), who swapped places in the final climb of the race. The next race in the Asia Trail Master series takes place on 8 May in Tamgaly Tas, a UNESCO World Heritage Site, in Kazakhstan. Podium of the women's 59 km race. The next points-scoring race in the 2016 Asia Trail Master series takes place in a new destination, namely South Korea. Not far from capital city, Seoul, Sunday's Korea 50k event in Dongducheon (DDC) proves the growth of trail running in yet another country with hundreds of runners registered for the race. The event will be a significant spectacle with plenty of media and international charity partner Operation Smile present as well. There is a high number of international runners, so it will certainly be an interesting race. Race organiser Jesse Yoo has been in trail running before most people even knew it existed. The first edition of Korea 50k last year was a success, and it encouraged him and his team to take things to the next level and increase international engagement. Other than a race for the national championship, Korea 50k is also the first ever Korean race in the Asia Trail Master series. It won't be the only one, with UT Mount Jiri and a third race in the pipeline for later in autumn this year. The event is easily accessible from Seoul by subway, and there's plenty of hotel choices available in DDC as well. The race course is tough with 3100m of elevation gain to be conquered, but the length is reasonable with 59 km in total. A compact challenge in other words. All finishers on the 59km race will score 100 finisher points for the Asia Trail Master championship, and added to that are of course each runner's performance points on the basis of his ranking in the result list. Important in this event is the support any runner can give to the cause of charity partner Operation Smile. The US-headquartered cause is omnipresent in Asia as well, and treats less privileged children to life-changing surgeries for cleft lip and palate conditions. Each participant in Korea 50k can help to make a big difference in life quality for these young children, and we as promoters of the event and managers of the Asia Trail Master series encourage everyone to take this into consideration when collecting your race number bib on Saturday. Please see more information about how you can assist below and by going to the OS Korean website. This weekend we will be reporting live from the scene, starting on Saturday afternoon with the press conference, and then of course before, during and after the race via our social media channels. Xu Xiatou starts as one the race favourites in Korea after his strong showing in UTHK 100. Korea 50k - Run for Operation Smile! Our official Asia Trail Master charity partner Operation Smile will be actively taking part in the upcoming Korea 50k event in Dongducheon City, north of Seoul, on 24 April. Amongst others, Korea's own American TV celebrity Tyler Rasch will be taking part in the event, and even run the short distance race to raise funds for Operation Smile. You can also help young children in need of a life-changing surgery. As of 31 March, participants and friends alike, will be able to trigger support and invite donations from friends, family, colleagues and anyone else for Operation Smile in the context of the Korea 50k event. In order to do so, a special webpage will be launched for you to use and share, as explained in the flyer above. Give your participation in the Korea 50k even more meaning. Trail running in South Korea is witnessing a boom, which will be clearly reflected in the 2016 Asia Trail Master series. 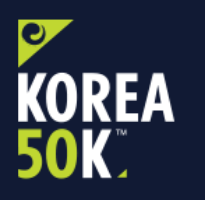 Korea 50k, scheduled for 24 April, will be the first Korean race on our calendar and at least two more races will follow later in the year. High time to get to know some of the runners in the country, and we are happy to feature Gyesook Lee and Kim Yongkee in our Talking Trail Running series this week. The registrations for the 2nd edition of Korea 50k, which takes place in Dongducheon City, close to the country's capital city Seoul, are open. You can read key details on our cover page, or go to the event website. The event makes for a great weekend getaway in spring with options for families! • Q: Where are you from in Korea, and what do you do for a living? GL: I am from Gwacheon, Gyeonggi-Do, Korea. Until last year, I worked at a securities company and currently I am a stage actress. • Q: When did you start running? And what has attracted you to do trail running? In 2010, I finished my first half marathon and on the same year I also finished the first full marathon. That’s how I started running. I had interests in trail running and desert races, because I wanted to try new unconventional running experiences. • Q: Is running part of your family background? • Q: Do you have any idols? Whose poster was hanging in your room as a teenager? I do not have any poster in my room, but I am a fan of the masters runner Jaeduk Sim. • Q: What is your best time in a road marathon? Doing a dead run in front of the finish line is the best part. • Q: What feeling does running give you? Running gives me the feeling that I am energetically alive. Also I am so thankful that I can run. • Q: How many kilometers do you tend to run each week, and do you do anything special in your training when you have a trail race on your race calendar? I usually run about 30km a week. When I have a trail race scheduled, then at least once a week I go for a training at a mountain site for 5 to 6 hours. • Q: Do you follow a specific diet? I do not have a specific diet. • Q: What was your best achievement in trail running so far, according to yourself? The biggest achievement I made in trail running is that my body became stronger and healthier. • Q: What is the longest distance you have run in a race? • Q: Will you attend Korea 50k next April and what do you think of the race course? Yes I will. I already registered. The course that crosses 5 tops of the mountains in Dongducheon is difficult, however running beautiful forests with nice sceneries is very wonderful. • Q: Do you like mountainous races or would you like more runnable courses on the trail running calendar? I prefer the course that contains both styles. • Q: What race are you running in your dreams? • Q: Trail running in Korea is very young, what is your favourite race in your country? • Q: What do you think of the establishment of KTRA (Korean Trail Running Association) and the development of trail running in Korea? I think KTRA is an important foundation for runner-centered trail events. I assume, with KTRA’s contribution, Korean trail run races will be well prepared with a high degree of safety measures and professionalism that will lead to the best international standards. • Q: What is your personal running ambition for 2016? My goal is to finish all 4 races of the Trail Korea Championship. • Q: What do you think about the Asia Trail Master series? Could the 2016 championship be an objective for you? I did not know Asia Trail Master series have various races from many countries that I would all love to participate in. But since I am a beginner of trail running, I am not aiming for the 2016 championship. I enjoy running. Results depend on my efforts and condition on the day, sometimes the mere enjoyment produces good results. I do not feel much pressure, since I put more meanings on own satisfaction rather than other people’s attention and expectation. • Q: What tips would you give to other Korean female runners? Eating well and sleeping well are important. If you are training for a race, experiencing similar geographical features are helpful. When you run, you will find the answer. Q: Where are you from in Korea, and what do you do for a living? KY: In Suwon City, and I am an engineer. Q: When did you start running? And what has attracted you to do trail running? In 2013. Actually I like mountain, river and nature. It’s very nice to run in open nature. Q: Is running part of your family background? Never. There are no runners in my family except me. Q: Do you have any idols? Whose poster was hanging in your room as a teenager? Q: What is your best time in a road marathon? What feeling does running give you? Q: How many kilometers do you tend to run each week, and do you do anything special in your training when you have a trail race on your race calendar? 100k per week, 250k when training for a race. Q: Do you follow a specific diet? Q: What was your best achievement in trail running so far, according to yourself? The 1st place in the under 30 age group in Vietnam Mountain Marathon 2015. Q: What is the longest distance you have run in a race? Q: Will you attend Korea 50k next April and what do you think of the race course? If I have a time, I will attend the race in 2016. Actually I don’t know about the race course. The race director of Korea 50k changed the course recently. Q: Do you like mountainous races or would you like more runnable courses on the trail running calendar? Q: What race are you running in your dreams? Q: Trail running in Korea is very young, what is your favourite race in your country? Ultra Trail Jeju 100k (a stage race for 3 days). Q: What is your personal running ambition for 2016? Q: What do you think about the Asia Trail Master series? Could the 2016 championship be an objective for you? Every race looks nice, valuable and well-organized. I will try all those races in the future. Now, I am just a slow runner. Q: You have taken part in the Vietnam Mountain Marathon, why did you decide to take part in this specific international race?